Light’s Riverside Retreat is a luxurious rustic cabin nestled alongside the gorgeous Cartecay River. Located near Ellijay, Georgia, this peaceful getaway offers amazing indoor and outdoor amenities. This charming cabin rental is ideal for families, group retreats, and special events. Whether you want to read a book on the porch overlooking the river or you’re longing explore the Chattahoochee National Forest, there is so much to love about this quiet oasis. Light’s Riverside Retreat can comfortably sleep 6 people. 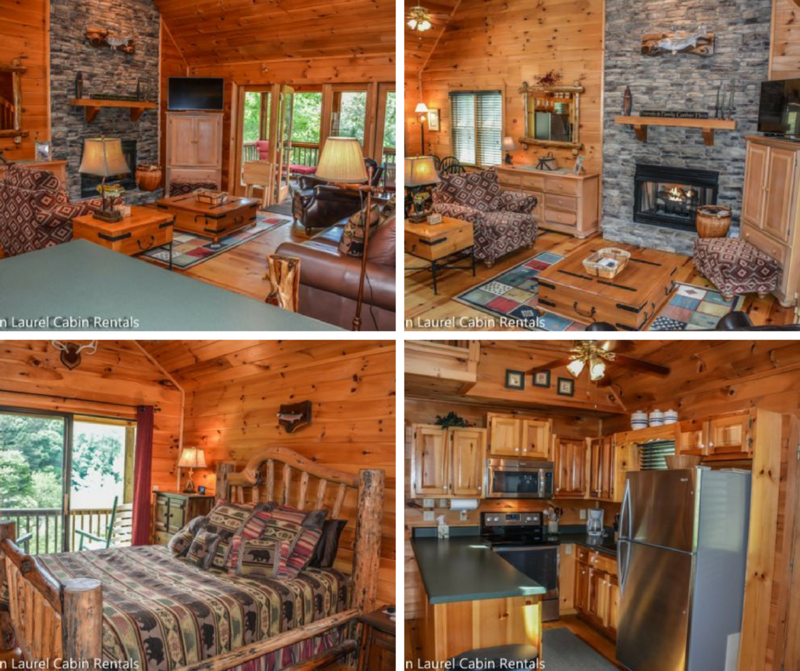 Inside this luxury cabin guests can enjoy a fully equipped kitchen, 2 dining areas, a family room, a stunning stone fireplace, 3 bedrooms (including a master with a jetted tub), 3 bathrooms, a game room, washer/dryer, and plenty of DVDs and board games for rainy days! 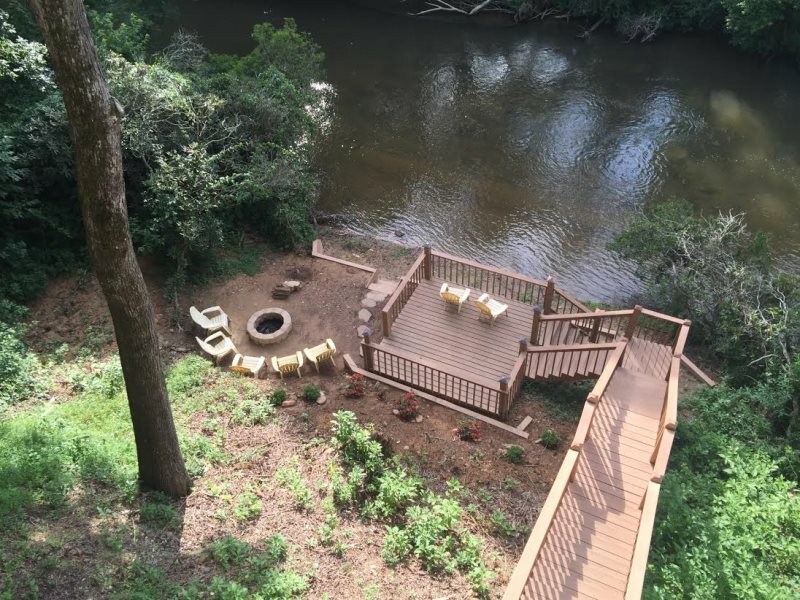 Immerse yourself in the great outdoors on 4 different decks that all face the river, unwind on the screened in porch, fish for trout, swim at your own private beach, have a campfire by the river, or jump on your own kayak or tube and float down the river. If you’re searching for waterfalls, you won’t want to miss out on Amicalola Falls State Park or Jack’s River Falls located within the Cohutta Wilderness. The area surrounding Ellijay is great for hiking, biking, horseback riding, and zip lining – and the boardwalk in town is a must-see. If you want to get on the water, there are three rivers in the area for rafting, kayaking, tubing, and fishing. If you’re interested in boating in a gorgeous setting, don’t miss Carters Lake. Situated near the southern end of the stunning Blue Ridge Mountains, this is the deepest reservoir in Georgia. And of course there are the mountains. Whether you want to go on a scenic drive, take a hike, or just sit back and take in the views – this is a beautiful area for a mountain getaway. 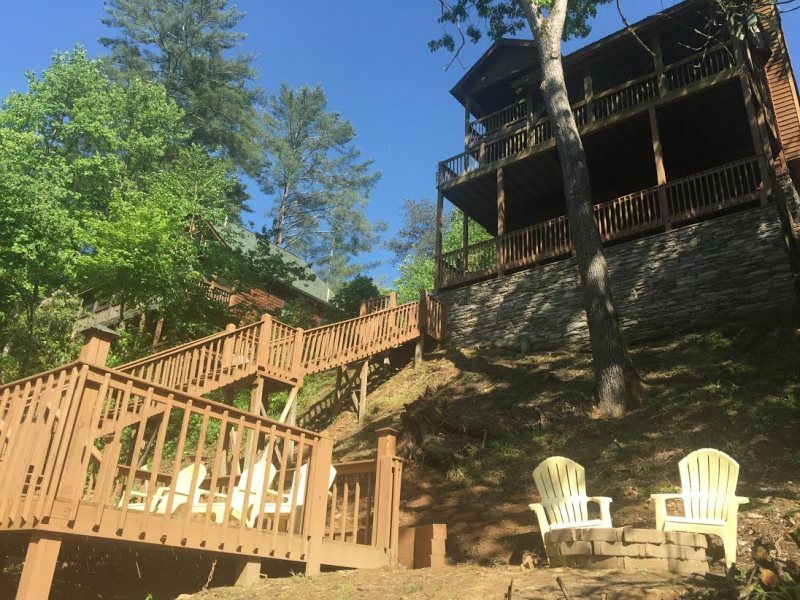 If you’re thinking about camping in northern Georgia, you won’t want to miss out on this amazing riverside retreat! 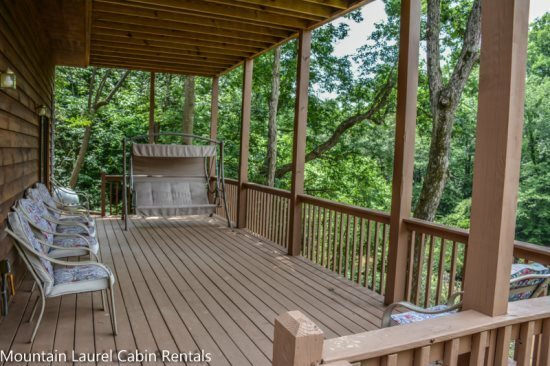 Whether you’re looking for a peaceful place to relax or you want to get outdoors and explore, this cabin rental has something for everyone. Book your stay at Light’s Riverside Retreat on Camp Native today!